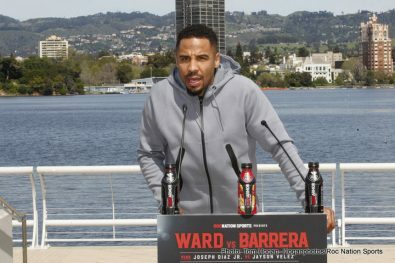 On Wednesday, March 23, Roc Nation Sports hosted the final press conference for Two-Time World Champion and top-rated pound-for-pound fighter Andre Ward (28-0, 15 KOs) and number one rated IBF light heavyweight contender Sullivan Barrera (17-0, 12 KOs) at Lake Merritt Amphitheater in Oakland, California in advance of their March 26 fight at Oracle Arena in Oakland. 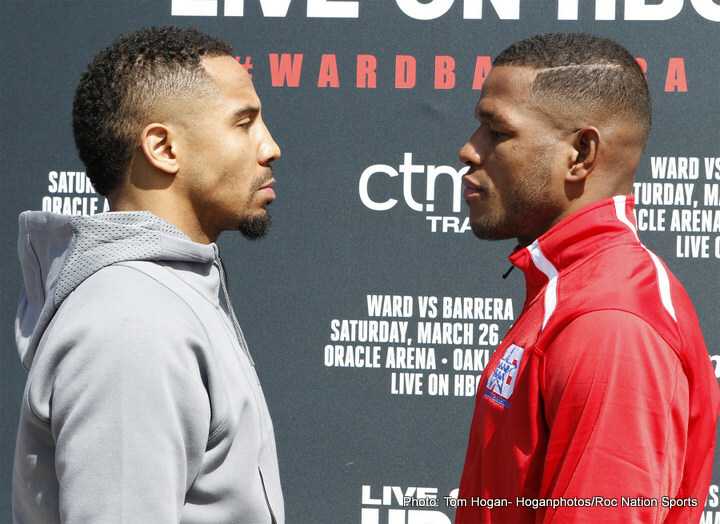 Ward and Barrera will meet in 12-round IBF number one position and mandatory position eliminator bout televised live on HBO World Championship Boxing® beginning at 9:45 p.m. ET/PT. 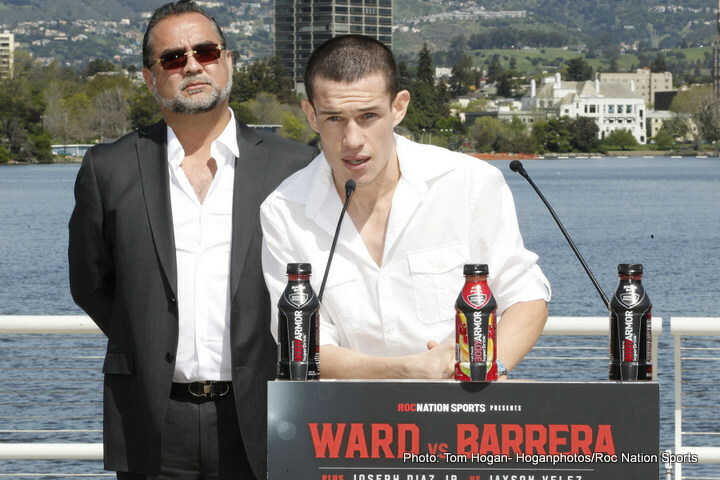 NABF Featherweight Champion Joseph “Jojo” Diaz Jr. (19-0, 11 KOs) and top-rated featherweight contender Jayson “La Maravilla” Velez (23-1-1, 16 KOs) were also in attendance on the press conference dais overlooking Lake Merritt ahead of their 10-round NABF Featherweight title fight which will open up the HBO telecast. 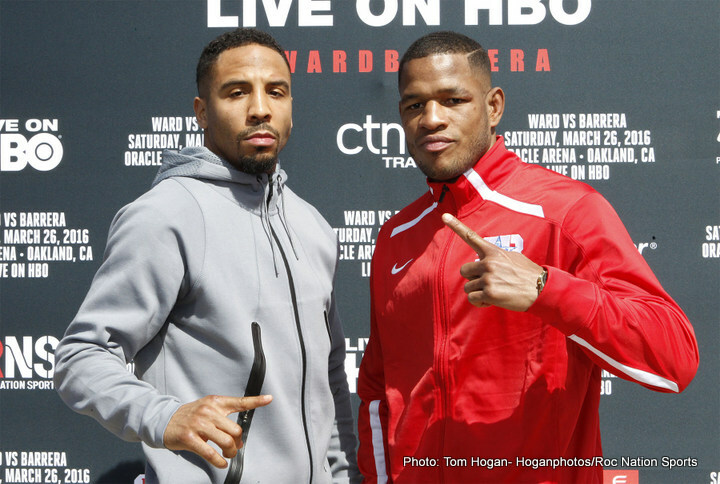 Ward vs. Barrera is shaping up to be a highly contested battle between two fighters who both have their sights set on a match-up against Unified Light Heavyweight World Champion Sergey Kovalev. “I want to thank everyone for coming out as usual. The Bay Area is a beautiful place. We don’t often get enough credit for the talent that comes out of here, but for the fan base, it’s tremendous. I’m just thankful for being from a place like this and thankful to have the love and support at every event that we bring here. I’m thankful that myself and guys like Marshawn Lynch, Damian Lillard and the Warriors put this place on the map and people are taking notice on the national stage. That is really important to me. “Two of the top light heavyweights on the planet will collide on March 26. They have a combined record of 45-0 with 27 KOs and needless to say, neither has tasted defeat as a professional. While each man has a formidable opponent in front of him, they both have their eyes on Sergey Kovalev and his three world title belts, but first they have business to attend to on Saturday night. “Whenever I come out to Oakland for an event and I’m with Andre at a function where he’s speaking to the media, it strikes me that obviously, he is a special talent athletically, but he’s also a special person and I hope everyone here in Oakland understands and appreciates that. He’s a principled family man who always tries to do the right thing and that is something that is rare in life these days, but it is especially rare in sports. I hope you guys appreciate him. Boxing careers don’t last forever. He’s not going to be fighting forever, so everyone should appreciate what you have here in Andre Ward. “I would really like to thank Andre Ward. He didn’t have to take on an undefeated fighter in his first fight at light heavyweight, but he did it and I think that is commendable. “In his last fight, Sullivan became the mandatory contender for Sergey Kovalev’s IBF belt. He could have sat back and waited for his title fight, but instead he saw this fight against Andre Ward as an opportunity to really reach for greatness and he did that. As you all know, Main Events and Roc Nation Sports have big plans for Andre Ward and Sergey Kovalev later this year and Sullivan Barrera can really upset that apple cart. “Both of these men, Sullivan and Andre, have everything riding on the outcome of Saturday’s fight. In the climate that we have in boxing right now, it’s refreshing to see real warriors who aren’t afraid to take risks. They both deserve our respect and admiration for that. This is what our sport should be about. “This is a fantastic card with fantastic athletes who are trying to make their way in the world of boxing. If this fight was taking place in any other city, it would be a huge event. What we want to do is make sure that Oakland understands, and that the surrounding Bay Area understands, the magnitude of this event so we can continue to bring world class boxing to Oakland. 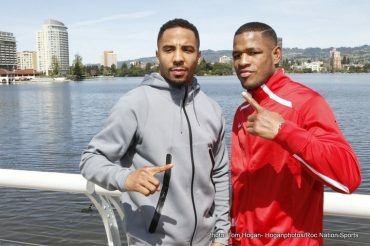 Oakland is a breeding ground for top fighters and we already have them. The more that you support us, the more that these fights will become visible and you will see the big time at the top. “I want to thank all of the people who put together this super event on Saturday. We are here to put on a great show and Sullivan has done everything to prepare himself for this event. He knows the challenges in front of him, but he believes in himself and he believes that this is his time to show the public and the viewing audience that this is where he is. He is there to make a statement. “Come March 26, I know I have a really tough fight ahead of me. I know Jayson Velez is an experienced veteran in the ring. He’s a warrior. He has a six-inch reach advantage over me so it’s going to be a really great fight. I know he’s coming off of a loss, so I know he really wants to bounce back and show everybody that he’s still a world title contender. “I want to thank God first, obviously he makes everything possible. I want to thank my promoters, Miguel Cotto Promotions and Golden Boy Promotions and my whole team. I don’t have too much to say besides that this is a great fight. Joseph comes to fight. I come to fight. We both want to win. We both take challenges. People keep asking me why I took this dangerous fight and the answer is easy…if I want to be the best, I have to fight the best. Joseph is one of the best. “Obviously the main event speaks for itself. 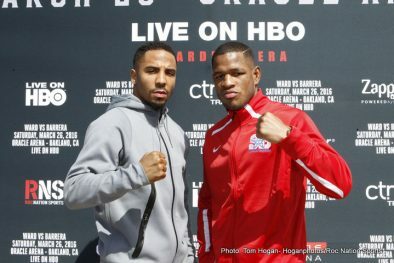 You’ve got Andre Ward versus a young undefeated guy like Sullivan Barrera, but the co-main event is going to pit two young, hungry fighters against one another in Jayson Velez and Joseph Diaz. They’re both young. They’re both willing to take on the best fights, the toughest fights and proof of that is how easy it was to make this fight. “I’m very excited about this fight. You don’t want to miss the 10 rounds for the NABF title. “It’s an honor to be here, a great opportunity and privilege to be given this opportunity to showcase a talented, 2012 Olympian. To Joseph, this is what we talked about, thank you for being patient, you are ready for the opportunity. 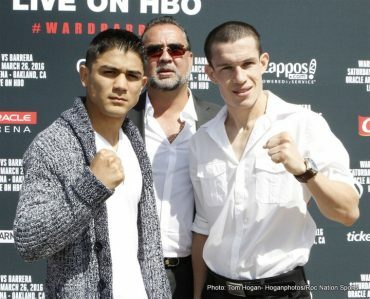 We know what a special young man and talented man you are, but now the whole world will get to see on the big stage what a talent, what a real gentleman and what a fighter should be…like Joseph Diaz. “On behalf of our Executive Vice President Peter Nelson, we are very happy to be here in the Bay Area, with a great crowd and great boxing fans, as we look to bring you this doubleheader on Saturday night. 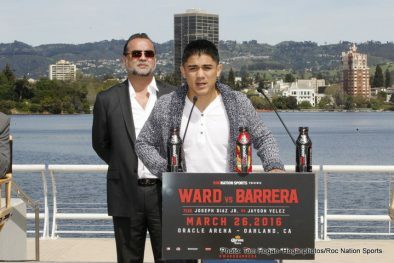 “It’s not easy pulling together a big boxing match and these teams have pulled together a great card from top to bottom, so even though all the fights won’t be on HBO, if you want to watch some great boxing, go to Oracle Arena and if you have to be at home, check it out on HBO. “Throughout our 43 years of programming on HBO, boxing has always been an integral part of what we do. We’ve always prided ourselves on having the best fighters and the best matches, and we feel very good that this tradition will hold again as Andre Ward makes his 2016 debut in the ring. In the boxing ring, it’s never recommended that you overlook a hungry, undefeated fighter like we have in Sullivan Barrera, so I would like to welcome Sullivan to the network and thank him for taking on this challenge.